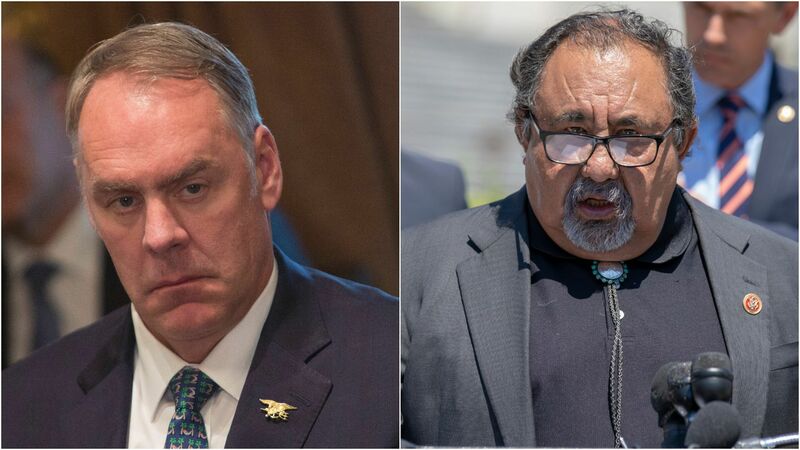 Interior Secretary Ryan Zinke issued a scathing statement against Rep. Raúl Grijalva, the incoming chair of the House Natural Resources Committee, on Friday, accusing Grijalva of being a drunk after the congressman called for Zinke's resignation in a USA Today op-ed. Details: Grijalva cited Zinke's ethics scandals during his time in Trump's cabinet in the op-ed, promising that questions about Zinke's conduct "will only intensify" when he assumes the chairmanship. Zinke responded to Grijalva, who has acknowledged a problem with drinking in the past, in a tweet with the hashtag #TuneInnForMore, a reference to a popular Capitol Hill bar, saying, "[I]t's hard for [Grijalva] to think straight from the bottom of the bottle."